How does Diamond Contours Biomesosculpture work? Diamond Contours Biomesosculpture™ uses a system which creates a reduction of visible cellulite and congestion anywhere on the body. It stimulates the extra cellular matrix or the fluid substance just under the skin, to treat the first stage of cellulite, which is stagnation, and the second stage which is cellulitis. Diamond Contours reduces stagnation by increasing circulation and infusing pure plant botanical herbal and homeopathic extracts into the epidermis of the skin. This is a comfortable state of the art treatment reducing cellulite and fatty build up on the face and body. 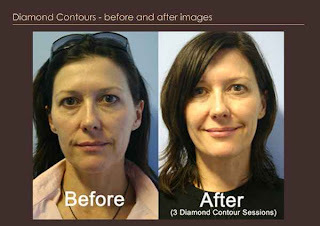 Diamond Contours Biomesolift ™ is the ultimate in facial rejuvenation. It improves the microcirculation of the face and neck, Diamond Contours Biomesolift ™ helps to remove congestion and treats wrinkles where they begin, in the extra cellular matrix of the skin. The Diamond Contour™ system lifts, contours, detoxifies and infuses pure plant botanical herbal and homeopathic extracts for facial rejuvenation and relaxation. DIAMOND CONTOURS is a highly effective treatment to reduce the appearance of cellulite whilst contouring the body developed by DIAMOND INTERNATIONAL™. Diamond is a proven worldwide leader and pioneer in anti-aging technology. The Diamond Contours system offers contouring and inch loss treatments which target fatty deposits where they build up. Is Keira Knightley too thin? I think she is. There's something about Jessica Alba. Maybe it is her smiling eyes? Or is it her smooth, porcelain skin? Perhaps it's that megawatt smile? It's little wonder she ends up at the top of the list for men. She radiates youth, health and positive energy. On top of her God-given natural beauty, I am sure there's a whole lot of work done to keep Jessica looking fresh like a blooming rose in spring. Yes my friends, you need to care for your skin. You might or might not be as pretty as Jessica but constant care will keep you looking at your best, always. 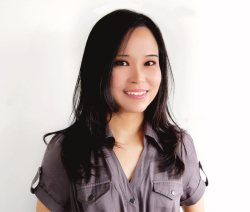 I recommend the The Diamond Dermabrasion Medical™ Experience and the Diamond Oxy Pro treatment. Hillary Clinton's enemies have long criticised her political -makeover, from the liberal firebrand First Lady to the moderate senator and White House candidate that she is today. Now, the frontrunner for the Democratic presidential nomination is the subject of a whispering campaign suggesting that she has also undergone a physical makeover - with Botox injections to enhance her appearance. 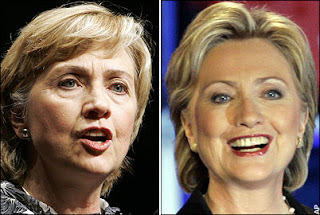 Sen Clinton's fresh-faced demeanour at last weekend's New Hampshire presidential debate has unleashed a flurry of speculation, among newspaper columnists and on the internet, that she has used artificial means to banish the wrinkles. The debate has revealed again the importance of appearance in the race for the White House, and the extra scrutiny that falls on Sen Clinton as the first woman with a realistic chance of becoming president. Botox, derived from a lethal poison that forms in rancid sausages, is injected into the face - at $500 (£260) a shot - to eliminate wrinkles by paralysing the surrounding muscles. In 2004, John Kerry, the Democrat presidential nominee, was accused of using the substance to remove wrinkles from his forehead. Truth be told, politicians and celebrities are people who need to maintain a positive public image. And we, the spectators, want to look up to these public personalities who can look better than us and not succumb to the daily wear and tear of life. It is a very simple principle. And deep inside, we want to look good too. Why do the people expect public figures to be anymore less concerned about their looks and appeal than ourselves?